Advantage #1: Women's gyms allow females to exercise without the fear of being ogled or approached by men during their workout. Let's face it, there are no doubt a lot of people who believe that today's gyms function as modern-day singles bars, when in fact most people -- especially women -- go to their fitness center of choice in order to help themselves get in shape. They aren't there looking for a date, so women's gyms provide female patrons the opportunity to workout and to feel comfortable at the same time. When a woman is exercising, particularly if she's not looking her best because of the effort she's putting in, she probably doesn't want to worry about being hit on by a stranger. Advantage #2: Practically all women's gyms offer programs that are tailored specifically to women. That means that a woman who enrolls in a females-only fitness center should expect to find that there are classes and programs designed for the unique specifics of a female's body. We all know that men and women are different in lots of ways, and those differences include our bodies and how they work and develop. Women's gyms give females the opportunity to work on their bodies under the guidance of instructors and trainers who are focused on the special needs of a woman. That's a major benefit to the body-conscious lady. Advantage #3: It seems that generally speaking, women's gyms are smaller and more intimate. Co-ed fitness centers (like those well-known major mega gyms) can be huge and, at times, overwhelming. A smaller and less intimidating gym can make it easier for someone to focus on their conditioning without feeling lost. Women's gyms quite often strive to provide a sense of intimacy and pride themselves of being compact and effective, with a minimum of hype and a premium on providing a quality workout experience without making their patrons feel overwhelmed. If you're a woman and you're looking specifically for a fitness center that caters to women only, you're probably in luck. 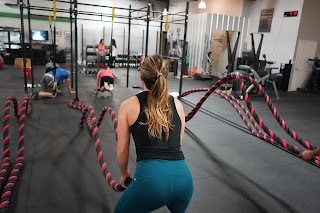 There are a number of terrific women's gyms operating with a focus on female fitness these days, and practically every community of any size has several top-notch facilities for women to choose from. 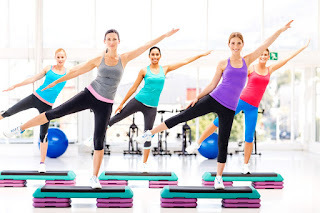 In the end, the advantages of a center that is designed for females make them a comfortable and safe environment for women looking for an effective workout. Going to the gym isn’t all about achieving washboard abs and #bootygoals, a true gym junkie understands that you’re what you eat and this extends to what we put on our face. If we’re smothering our face with nasty chemicals they will find their way into our bloodstream and wreak havoc on our health. Leaving your house doused in your morning green juice isn’t a hot look, so Fitcover®, infused with vegan skin care, will be your next best choice when it comes to organic makeup in Australia. Fitcover's natural makeup is Australian owned and operated, and we ship to our Fitcover® Fam anywhere in the world from our Australian warehouse!